Front Door Installation & Repair Are you having difficulty with your front door being entered by thieves? Are you planning to install a new front door for home improvement? Call 212-455-555 and get your front door working on its best again. 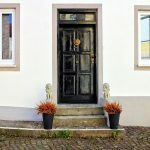 Sticking, sagging, creaking, and leaking front doors can be an annoyance that is easy to ignore and that is until the next time that you need to use the door. You need to stop putting off your door repairs. Chances are good that the problem can be fixed easily, but in a wet climate, it is more particularly essential to stay on top of the issues with your front door in order to avoid moisture problems, which may cause additional damage. With one quick visit, your best front door installation and repair company in NYC – High Gate Doors, will evaluate the problem and get you a free estimate for repair and/or installation. In a place where there are unavoidable climates and occurrences, the integrity of your front door is of great importance. The wear and tear may take a toll on weather-stripping, hinges, locks, and even the finish of the door itself. Sliding storefront doors may start sticking or going off the track, which make it hard to close and open the door or latch it securely. We will take care of all these repairs with the aim of keeping your door in its best working order and protecting your home from different elements. Remember that it is a good idea to complete sliding glass door repairs immediately in order to secure your home. You need to keep the little ones from wandering outside without supervision, and provide maintenance process for an additional working exit in case of emergency. Through time, the aluminum frame doors and glass are susceptible to water damage, warping, and rotting. You might also be needing a door frame repair after a break in or to be able to remedy a faulty installation. Regardless of what the cause is, front door installation and repair company in NYC can help you check this project off your to do list. You will remain in control of the process all over the project. While the aluminum frame doors and glass is being repaired, we may do some replacements on the old hardware and put a fresh coat of paint on your door and trim. If there is any hidden damage that has been uncovered during the course of job, our professional door replacement technicians will show you the problem and call our office to discuss a new estimate for the completion of the necessary repairs. We will make your aluminum frame doors and glass looking good in no time. Whether you are planning to add a French door, upgrade your front door, replace an old interior door, or install storm doors, the expertise of the best front door installation and repair company in NYC is what you need. We will make sure that the door will hang straight and level. If it is in your preference, we will stain or pain the door to the color that you want for a cohesive look. The trim will be replaced or reattached, and any necessary weatherizing will be done. Our expert technicians will clean up the workspace at the end of the workday, as well as in the end of the project. Our door installation projects are covered by a warranty, so you can rest assured that the work will be done right. When you choose High Gate Doors as your front door installation and repair company in NYC, you are selecting a professional company that has great dedication to quality work and customer service. Our company is fully bonded, insured, and licensed, and we are members of the BBB. Our technicians arrive on time, communicate with the clients clearly, and work in an efficient manner. You will be notified when there are any problems along the way. When the work is done, you will be asked to inspect the area to make sure that it will meet your expectations. After being provided with full satisfaction, you can then make your payment directly to High Gate Doors. Let us make your home a little more comfortable. Furthermore, we offer a large range of colors, materials, features, and styles to complement any style of home and help in completing any room. On the other hand, if your current door is needing a repair, we can get it back not only to normal, but also in its best working condition in no time. When it comes to doors, we know that your front door is among the most essential door in your home, not only because it has a curb appeal, but because it is protecting you and your family. As your front door installation and repair company in NYC, we can ensure that your door will be as safe as what it looks. From glass, to aluminum, and more, our professionals can help you in finding a door that is not only giving the look that you want, but is also going to offer added benefits like strength, noise reduction, and resistance to natural elements like wind, ice, rain, hail, and more. In addition, if you are looking for a new door, we will be able to steer you in a direction that may save you money on your heating and cooling costs, making your home quieter and more comfortable. With 30 years servicing NY, our front door installation and repair company in NYC has been focused on helping homeowners transform their homes into the ones that they have always wanted with the main element of providing security through installing and repairing, making your home a better place. No matter what kind of work we do, we guarantee that you will have complete satisfaction. If you are not, just let us know and we will make it right. 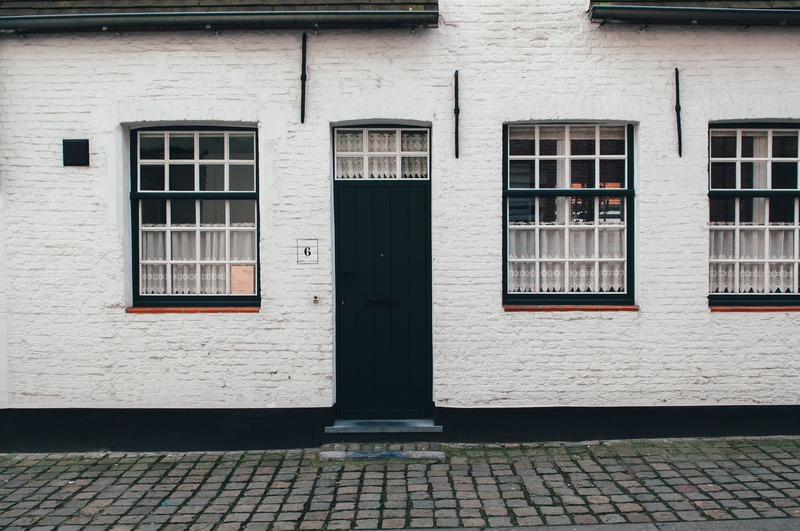 Contact us for more details on how our company can help you in any problems that you may have with your front door, or on how we can help you choose the perfect door to be installed. Get an estimate or you may schedule your appointment or contact us at 212-455-555.